For manufacturers, today’s marketplace presents a world of opportunities. But to maximise that global potential, manufacturers must adapt – they must change the way they do business. 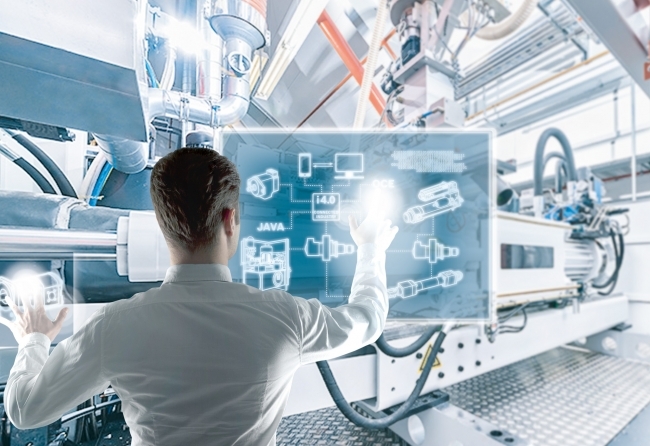 The advent of Industry 4.0 is facilitating that, encouraging organisations to identify their strengths and place them at the heart of operations. Concentrating on the core assets and capabilities a business has to offer is nothing new; it’s a philosophy supported by management thinker Charles Handy, who argued that anything that wasn’t a company’s core purpose could be reassigned to another business for whom it was. Take a large-scale bakery as an example. Creating the highest quality tasty treats is core to its business, so why overstretch and also attempt to make the packaging for those bakes too? That’s a job more suited to a packaging company. That same thinking is what drives our development of the Factory of the Future, particularly as global manufacturing becomes more complex and fragmented. Let’s look at automotive manufacturing. With the launch of every new vehicle, we see a leap forward in their technical capabilities. No longer are they a simple form of transport getting passengers from A to B. Instead, they are anything from mobile entertainment centres through to individual workspaces, and even driverless vehicles are on their way to taking the mass market by storm. Delivering these technical feats mean that car manufacturers are relying ever more on a sophisticated supply chain, enabling individual manufacturers to focus on their core capabilities. That means that each component of a vehicle more than meets the expectations of today’s consumers, having been created in an environment where every asset has been geared towards creating the very best products, in-line with the manufacturers core purpose. Once combined, the results are clear to see: vehicles which take the market by storm, having maximised the potential of a network of expert manufacturers to deliver products which they specialise in – from tyres through to entertainment systems. So where do you fit in the future? Going forward, your business might not sell products, but its capacity, relying on your ability to make the best components in the most efficient and financially flexible way. That commercial reality is something which can fundamentally adjust how your business operates. Industry 4.0 directly supports this, enabling flexible manufacturing which can be quickly adapted to today’s fast-changing market demands. It’s that flexibility which helps you to remain nimble and competitive, while your customers continue to benefit from your manufacturing expertise around which your core capabilities are built. In this way, the Factory of the Future doesn’t just deliver on physical flexibility, but financial flexibility too, as the modern marketplace shifts the value of manufacturing.